This is 9mm Remington UMC Value Pack 115gr. Full Metal Jacket Ammo. 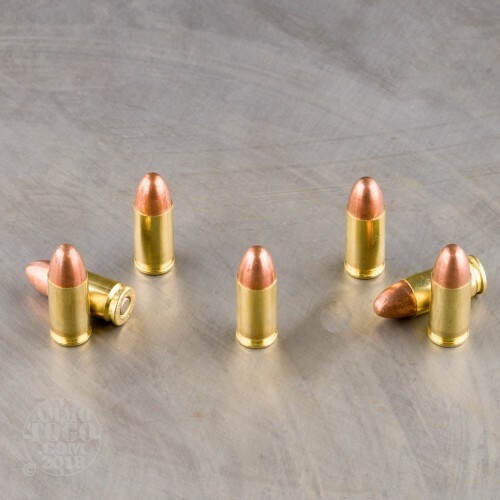 For practice, target shooting, training exercises or any other high-volume shooting situation UMC Centerfire Pistol ammunition offers value without any compromise in quality or performance. 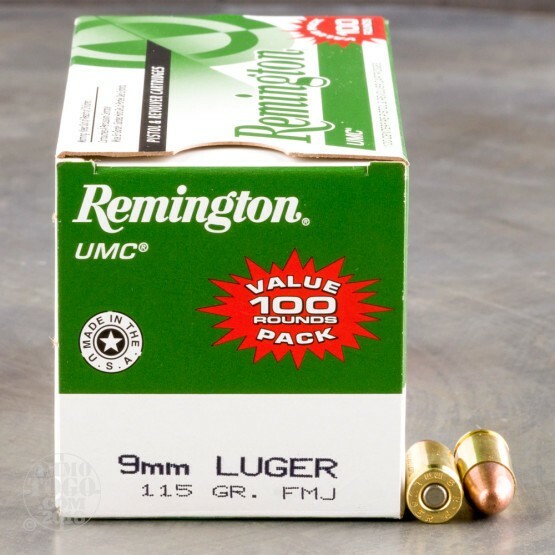 This ammo is 100% non-corrosive, boxer primed and reloadable. Comes in money-saving large-quantity 100rd. value pack, 6 value packs per case. Absolutely no problems with the ammo. A true value. 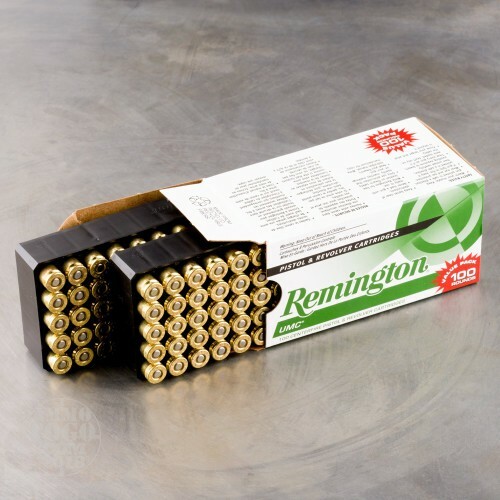 Buying in bulk makes it easy to practice at the range. 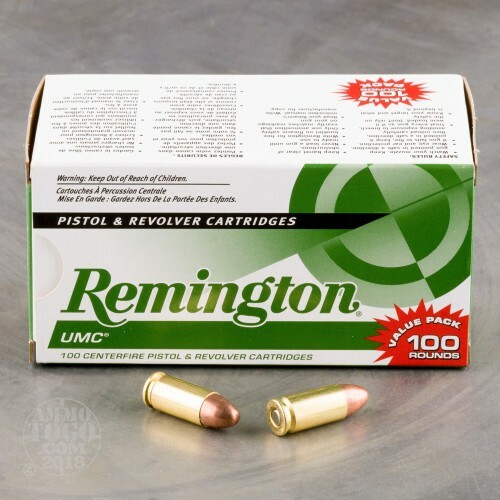 Used the ammo for a great session at the range.